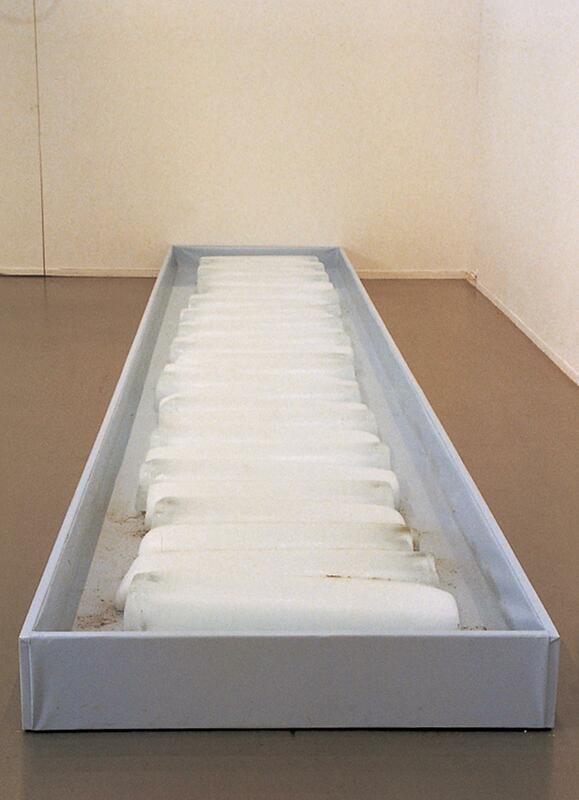 A row of ice blocks is left to melt either outside or in a shallow foil basin within a museum. 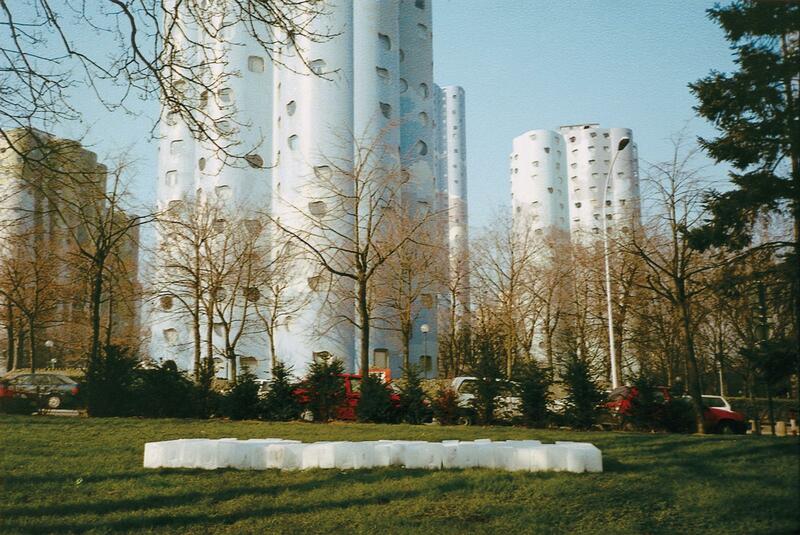 For the exhibition Nuit blanche, scènes nordiques : les années 90 at Musée d'Art Moderne de la Ville de Paris in 1998, the work was simultaneously displayed in two separate locations: on a lawn in front of a group of apartment buildings in the Paris suburb Nanterre, and in the museum itself. The ice blocks in the museum were replaced whenever they melted.